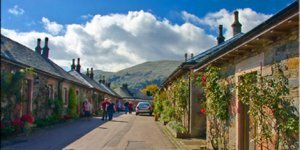 The attractive village of Luss is a conservation village situated to the south of Tarbet on the western shore of Loch Lomond. Loch-side beaches overlook the islands of Loch Lomond and the famous mountain Ben Lomond. With its neat sandstone and slate cottages and its narrow strand, the village was the setting for the successful STV soap “Take the High Road” which contributed to its popularity during the 1980s and 1990s. Lovely village walks for all abilities and cycle routes commence in Luss. Take a scenic cruise on Loch Lomond, or opt for an exhilirating speed boat ride. 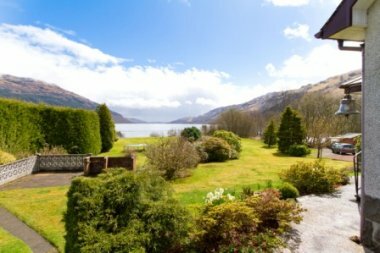 Luss is an excellent base from which to explore the Loch Lomond & The Trossachs National Park.